Late in the evening of 9 January 1890, Claire Zoë Parent (b.1804) passed away at Rue Ducale 13, suffering from double pneumonia. 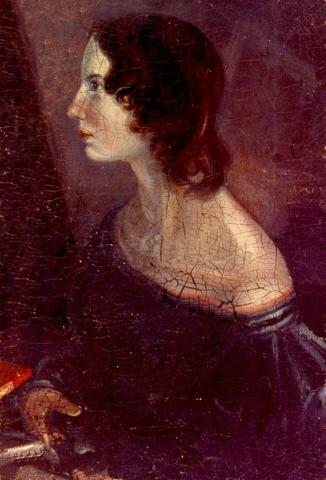 In the Brussels Brontë story, she holds a prominent role of course, as directrice of the Rue d'Isabelle pensionnat which Charlotte and Emily attended in 1842–43, and as part model for the characters of Madame Beck (Villette) and Zoraïde Reuter (The Professor) in Charlotte's novels. Much has been written about her in Brontë-related literature, yet the story of the house where she lived out her final days has never been told. It is a story which offers some interesting details. Rue Ducale is one of the more attractive streets in today's Brussels. Beginning at the Place du Trône near the Royal Palace, it runs along the east side of the Royal Park, past the Belgian Parliament buildings, to end at the Rue de Louvain. It is one of the main axes of the neo-classical Quartier Royal, built in the late 18th century. Fortunately the street has been spared unsightly reconstruction projects over the years, and retains much of its original, harmonious architecture. It lies but a short distance away from where the Rue d'Isabelle and the Parent-Heger Pensionnat once stood. The street has many literary connections. 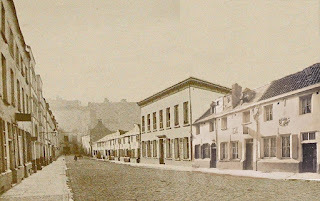 In 1816, Lord Byron stayed briefly at Rue Ducale 51, where he is said to have composed several stanzas of Childe Harold's Pilgrimage. 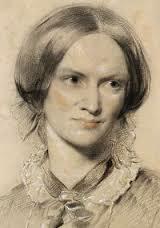 The time has come for our annual Brontë spring weekend, which will take place on 25-26 April. 14.00: We have two guest speakers this year. Claire Harman will be talking about her new biography of Charlotte Brontë to be published in 2016, the bicentenary of Charlotte’s birth. Claire is the author of various literary biographies and of the highly-acclaimed Jane’s Fame on the legacy of Jane Austen. We will also be joined by Bonnie Greer, President of the Brontë Society, writer and well-known TV personality, who will talk to the group. Do join us for what promises to be a very interesting event. 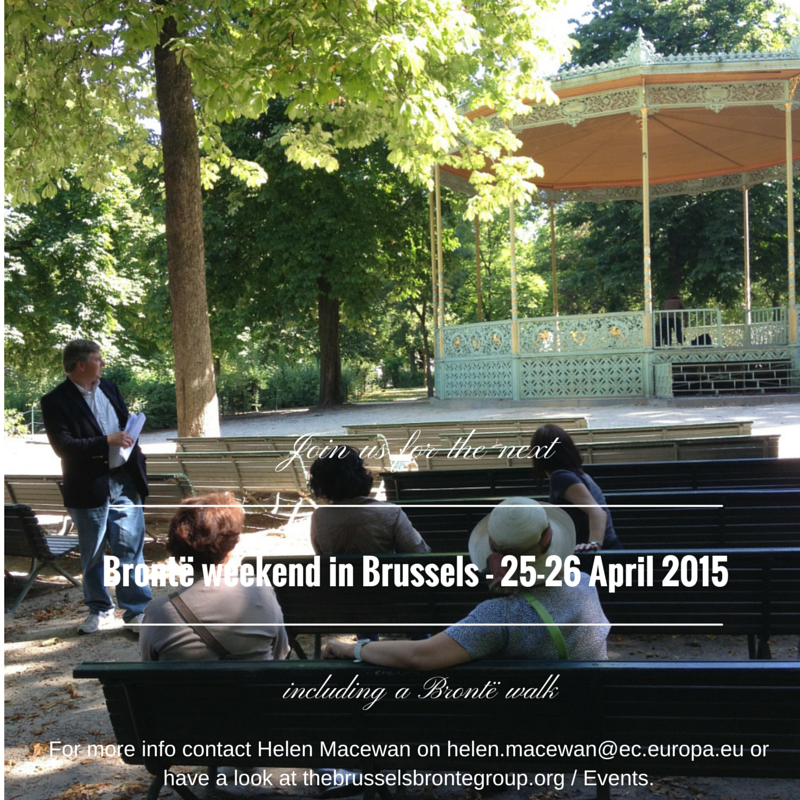 10.00: Guided walk around Brontë places (Place Royale area). Duration: about 2 hours. Charge: €7. Please register by sending an e-mail to Helen MacEwen (helen.macewan@ec.europa.eu).